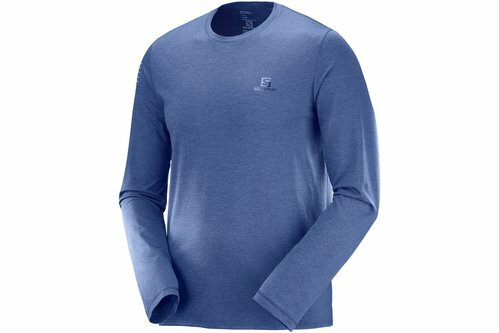 Run further than before in this Men&apos;s Salomon Pulse Long Sleeve Performance Top. It is crafted with moisture wicking technology that pulls sweat away from the body, leaving the wearer feeling dry and comfortable. Reflective detailing adorns the right arm and the look is completed with Salomon branding.